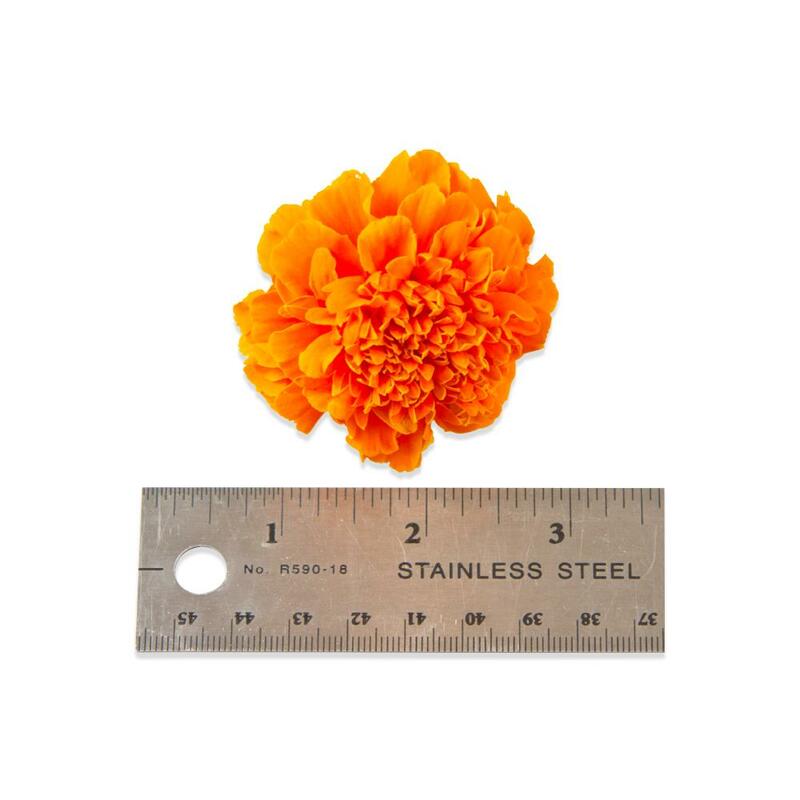 Marigolds are dome-shaped flowers with clustered small petals, bright colors and a spicy, slightly bitter flavor. 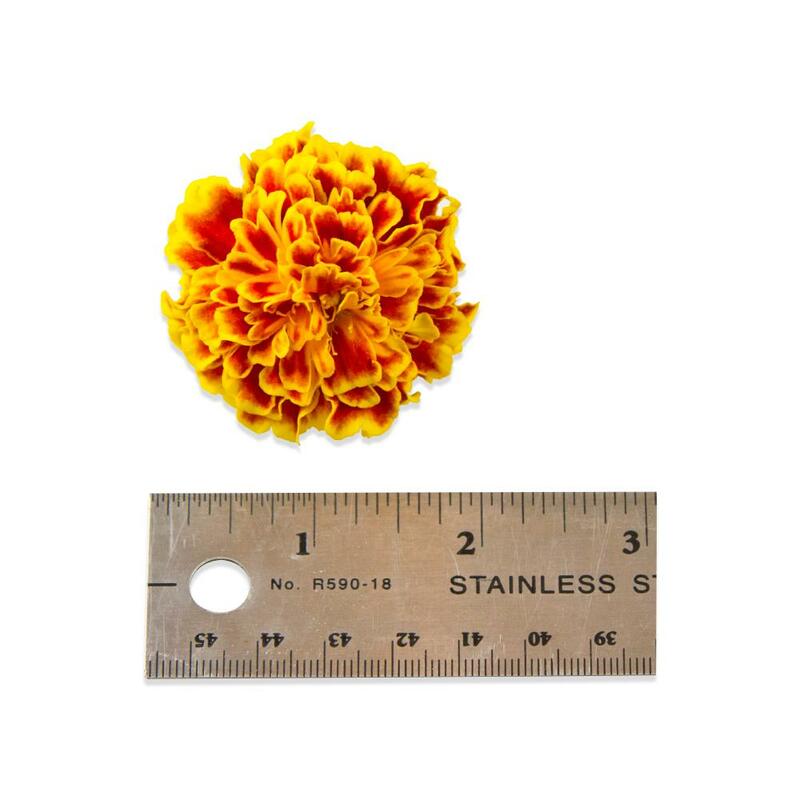 Edible marigolds to average approximately 1” in diameter, but can vary. They float well in liquids, and are one of the better edible flowers to use in salads, especially if you tear off & use the petals instead of the whole blossoms. 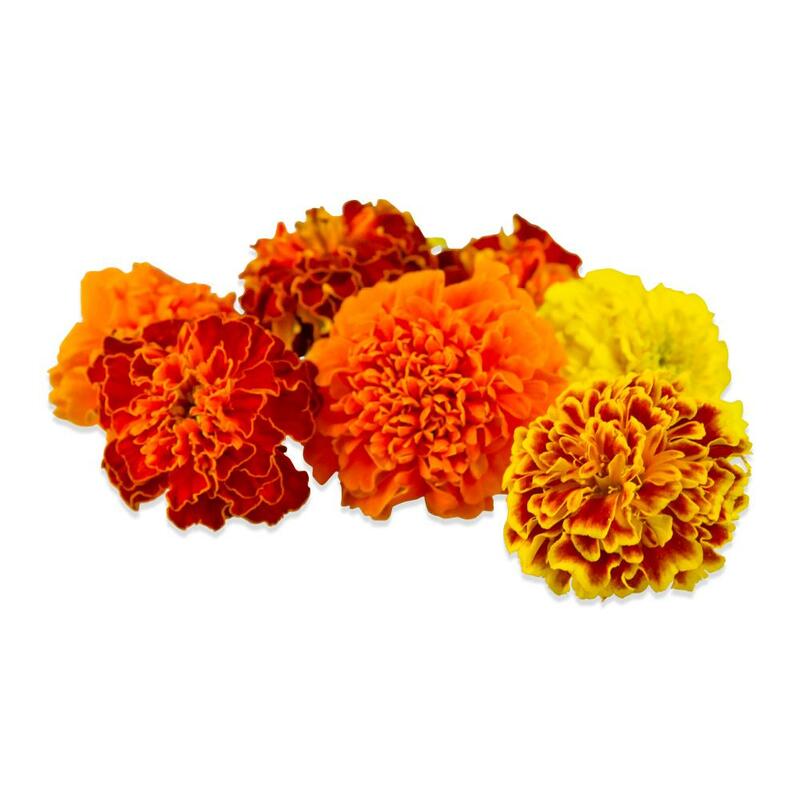 These marigolds are sold as a mixed-color blend. The colors in the conventional blend vary with availability but can include yellow, orange and red. The organic blend typically includes yellow and orange. 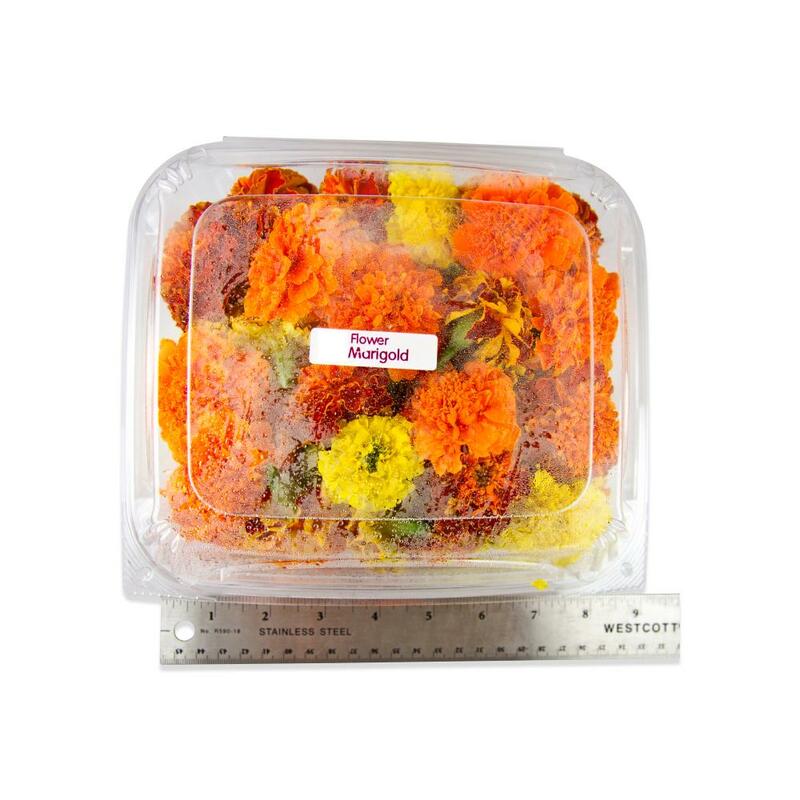 Store edible marigolds in their plastic clamshells in your refrigerator. Marigolds can be used whole as a garnish. They’re one of the more commonly used edible flower varieties in salads, but because their blossoms are a bit dense, the petals are often torn or cut off and then tossed in salads instead. Marigold petals can also be mixed or pureed with softened butter to make colorful marigold compound butters. Marigolds float well, so they can be used as a floating garnish for punch bowls, etc.